Microsoft’s Surface 3 is the first announced device to use Intel’s new Cherry Trail Atom chips, but you can expect therm to show up soon in other devices too. So what are the chips capable of and what should we expect? The Surface 3, which went on sale Tuesday, highlights some of the capabilities of Cherry Trail, officially called the Atom X5 and X7. The chips can run full Windows 8 and Windows 10 and are better at graphics than their ‘Bay Trail’ predecessors. But they also have limitations. They won’t do so well at compute intensive tasks such as video editing, which remain the domain of Intel’s faster Core processors. Cherry Trail tablets will run both Windows and Android—though don’t expect too many of the latter. Atom chips are favored more in Windows tablets, which is partly why Intel is struggling to compete with ARM, which dominates the huge Android market. 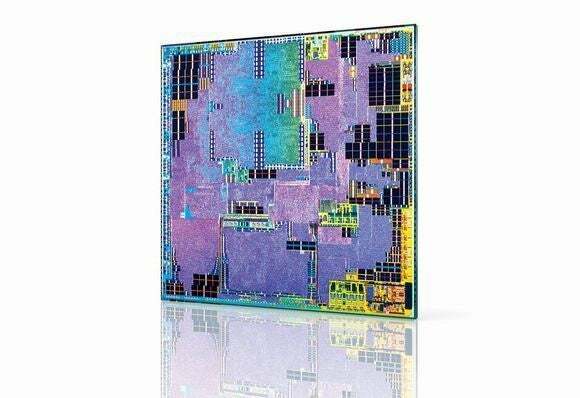 Cherry Trail chips will initially go into higher-end tablets, so to the extent that we do see Intel-based Android tablets, they’re likely to run older Bay Trail chips. Intel says Cherry Trail will deliver twice the graphics performance as its previous Atom chips. The results were apparent when I tried out a prototype 8-inch Cherry Trail tablet earlier this month, which kept pace with the fast moving visuals of Real Racing 3. But don’t expect the kind of high end gaming you get with the Nvidia’s Shield, which has a powerful GPU. There had to be a trade-off for the better graphics and it was battery life, which will remain constant or improve only slightly. Microsoft has pegged the battery life of Surface 3 at around 10 hours watching video, which isn’t much of an improvement from the ARM-based Surface 2. While graphics have improved, the CPU performance doesn’t get much of a boost. So while Real Racing 3 played well, it actually took a little longer than I expected to load. The priority with Cherry Trail was not to improve CPU performance, which was already adequate, an Intel representative said. Cherry Trail will find its way into a wide range of devices, ranging from wearables to low-cost Windows 10 laptops. Cherry Trail cropped up in Microsoft’s HoloLens augmented reality headset, which allows you to interact with objects that appear to float before you in space. The Surface 3 doesn’t make use of it, but tablets with Cherry Trail can have wireless charging features built in. That means you’ll be able to plop your device down on a special charging surface and not worry about plugging it in. It might not be a lot of use right now, but Intel wants to make wireless charging as ubiquitous as WiFi, and its in talks with airports, cafes, hotels and other places to make it happen. Move over, 2D photography. Cherry Trail comes with technologies to support Intel’s depth-sensing RealSense 3D camera technology, which can measure distance and recognize objects. It could make Skype conversations look better by masking out backgrounds or scan objects so they can be printed in 3D.